Some cable providers may still not like the idea of having a Netflix (s NFLX) app on their cable box, but everyone wants to have access to short-form online content, said Frequency CEO Blair Harrison during an interview at the Cable Show in Los Angeles Wednesday. That’s because TV operators don’t want you to shift your audience away from the TV screen, or worse switch TV inputs from your cable box to your Chromecast (s GOOG) stick just to watch a short viral video of Miley Cyrus getting arrested. Instead, operators are increasingly looking to surface this type of free short-form content through search functionality on the cable box. Some operators are going even further and want to integrate serialized online content from YouTube networks like Machinima and Maker Studios into their products. Cable operators and TV manufacturers could soon add short-form online video content to their TV programming guides, thanks to a new SDK from Frequency. That’s why Frequency is now offering a set of SDKs that allows TV operators as well as consumer electronics manufacturers to integrate Freuency-curated videos right into their own platforms. These SDKs, which are dubbed Frequency Source, already power Frequency’s own mobile video curation apps, as well as apps the company built for TV sets from Samsung, TCL and Hisense as well as Amazon’s (S AMZN) new Fire TV. Frequency also just launched its own app on Android phones and tablets, giving users curated access to millions of videos videos from more than 4000 sources, including YouTube, Facebook, (S FB) Twitter, (S TWTR) the BBC, CNN and elsewhere. Harrison said that Frequency is now indexing more than five million videos every day. Photo courtesy of Flickr user Shardayyy. 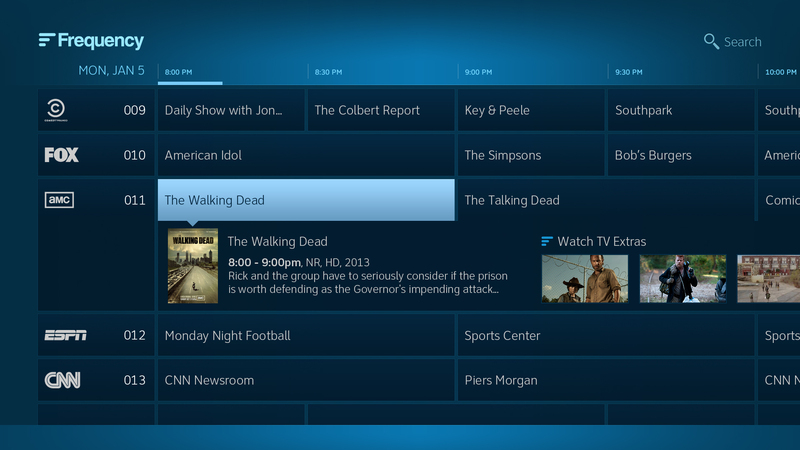 Given ActiveVideo’s announcement of CloudTV StreamCast for OTT-to-STB, sounds like an interesting week at the show. Sounds as if “Frequency-curated videos” are individual videos delivered to some newer STBs, rather than CloudTV Streamcast ability to deliver full Netflix or Hulu or YouTube or other online experience to any STB, including the oldest ones in the field.